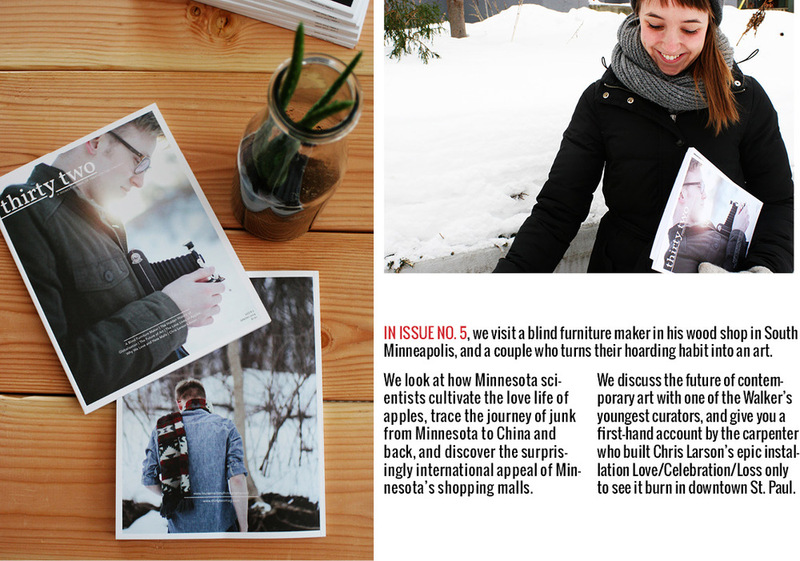 Thirty Two is a regional magazine available at over 50 locations in Minnesota. I spent a nice afternoon with Katie Askew and photographer Rita Kovton from Thirty Two Magazine. Katie's article on me in the spring 2014 issue number 5 was nominated for an award. Thirty Two Magazine did a feature article on me in issue number 5. Available at over 50 locations in Minnesota, fine bookstores, my food co-op, The Wedge and by mail directly from them.